Discover our « à la carte » offers. Whether you wish to organize a professional or a private event, our team will assist you from the menu selection to the choice of your appropriate room, going through all the details, in order for your event to be a success. For your professional events, save time and effort by selecting a package to formulate your seminar or meeting easily and stress-free. For your special family events, who else to call but our professional experts to organize your tailor-made occasion. We cannot wait to invite you for an unforgettable journey in our captivating hotel. Each event and request are unique and second to none! The Place d’Armes team will guide you step by step following each and every request you might have. Our goal is to strive for your satisfaction and convenience. Don’t hesitate to contact us. 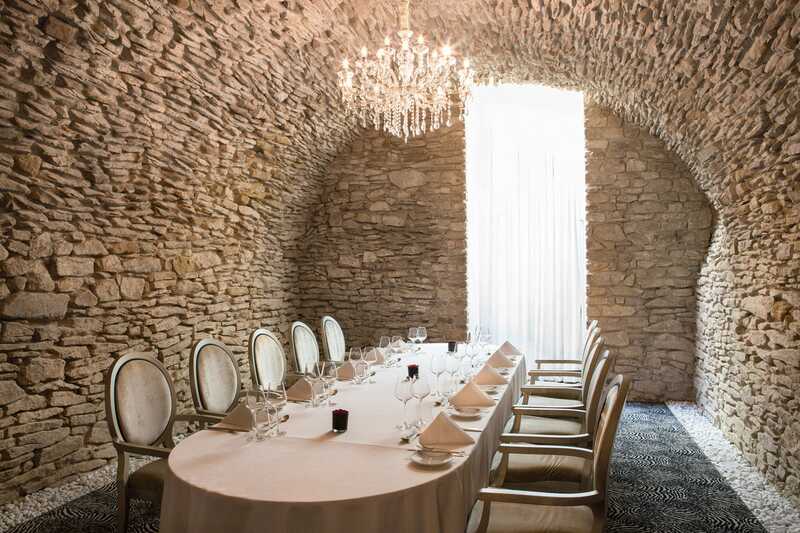 By going down a few steps, one might discover the hotel wonderful vaulted cellars made of natural rocks and carved stones, in which a few private salons can be found. 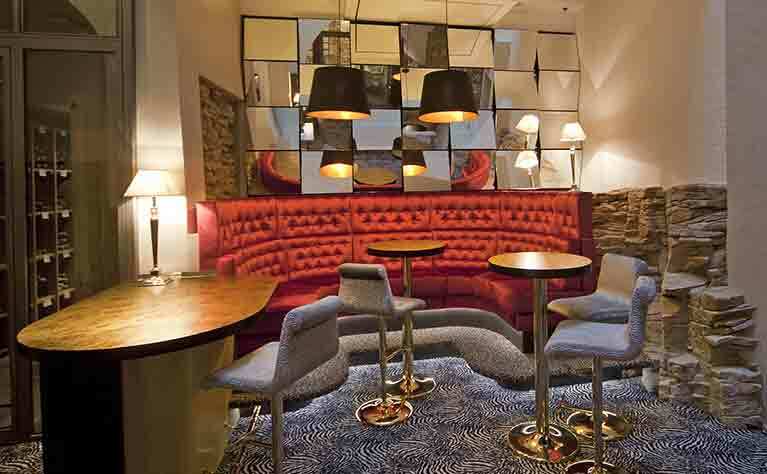 Meetings, family gatherings or business lunches, those unique venues would fit any kind of occasions. Natural lights coming through glassed floors, light shafts and stones refined by time going by. Terraces and intimate inner courtyard are also available for events. 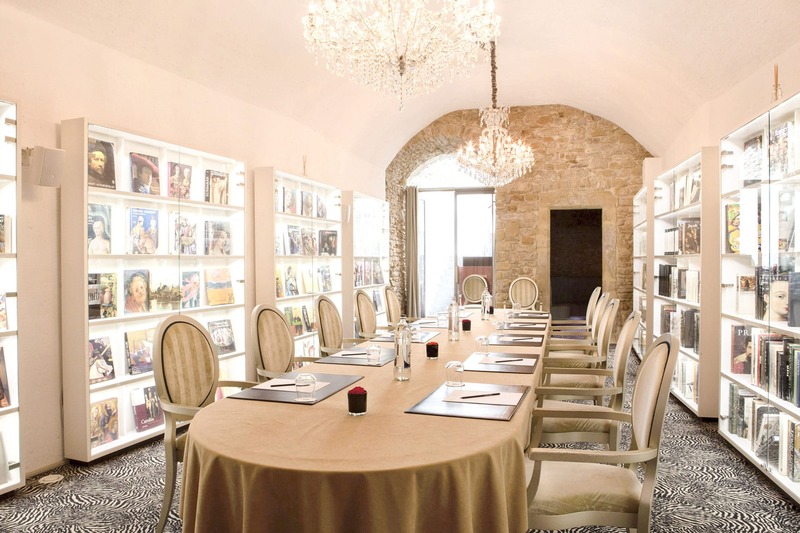 This unique and sophisticated location is the optimal venue for meetings or business dinners up to twenty-four people on a boardroom or forty in a theater-style. Sheltered under a thousand years old vaulted caves the Vauban is the most antique Place d’Armes refurbished relic. Ideal for twelve guests, this room welcomes private meetings, board meetings, lunches or dinners. Charming small salon, the Louvigny private office is the right place for one to one interviews or meetings up to six people. Located under a light shaft the œnotheque is the perfect place to held an intimate cocktail or winetasting, around twenty people.